A monumental, modern illumination project at Niagara Falls respects the natural beauty of the landmark while maximizing technological opportunities. It’s a project that’s been two years and four million dollars in the making. 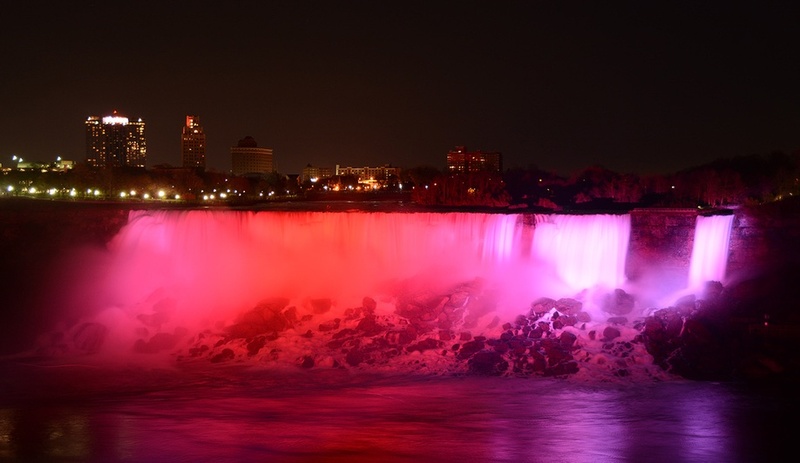 Launched on December 1, the historic lighting revitalization of the Canadian Horseshoe Falls and the American Bridal Veil Falls channels the raw energy of the natural wonders with a high-tech design concept. 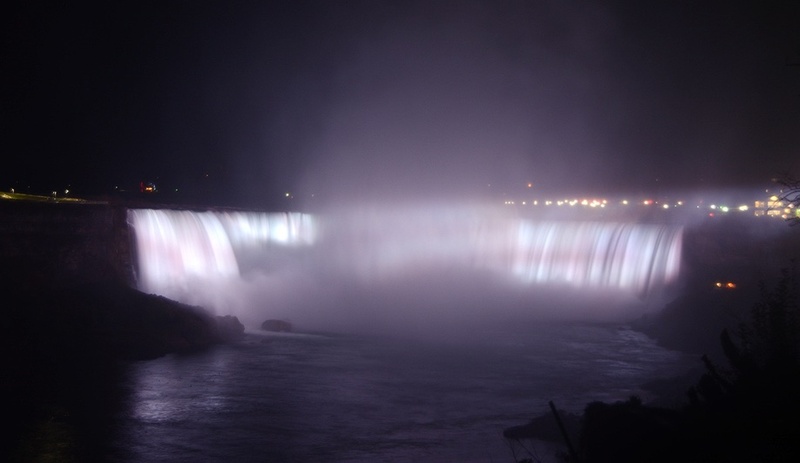 The Falls have been illuminated in some form since the mid-1920s. 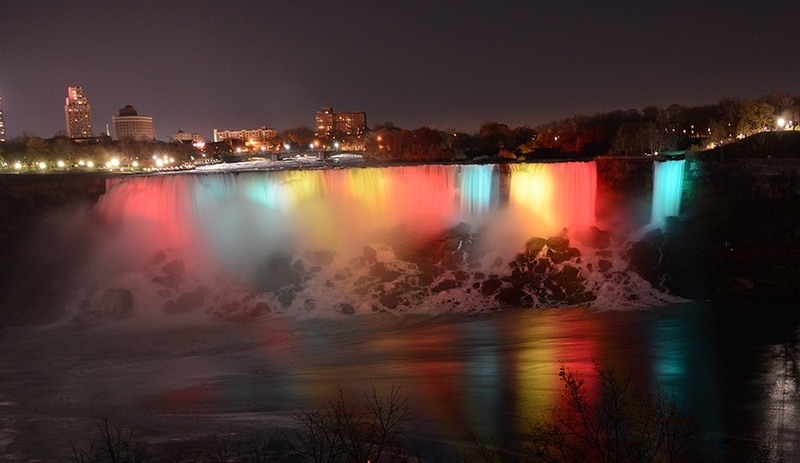 Its Xenon light fixtures hadn’t been replaced for some 20 years, leading the Niagara Falls Illumination Board to launch a global RFQ in October 2014, searching for a modern, LED solution. 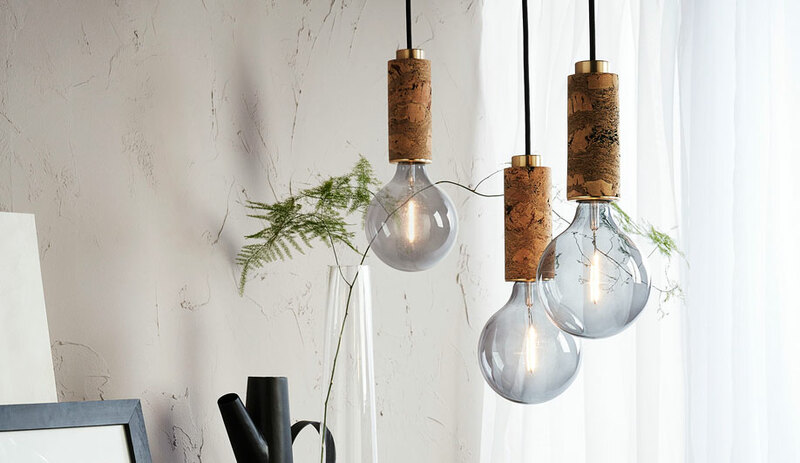 Salex, a Canadian lighting firm, won the bid and assembled a consortium of lighting architects, engineers and manufacturers to conceptualize the lighting renewal from the ground up. “The whole team agreed that this was a once-in-a-lifetime opportunity – that we should be using the latest technology to create a design that’s ahead of its time,” says Nick Puopolo, president of Salex. Puopolo, alongside applications manager Michael Smolyansky, led the restoration. For its first order of business, the team traded the Falls’ existing Xenon lights for LEDs, using an environmentally accountable design strategy that will minimize the energy output by between 60 and 80 per cent. Using images from Google Maps, AGI simulation and measurements of the old lighting system, the team spent more than a year rigorously prototyping the design concept. Salex turned to Stanley Electric to retrofit a groundbreaking optics program that sees 1,400 LED luminaires installed in clusters at key locations around the Falls – including the historic Illumination Tower, built in 1899. St. Catharines-based ECCO Electric took on the construction and design for the adjustable structures that support the lights. 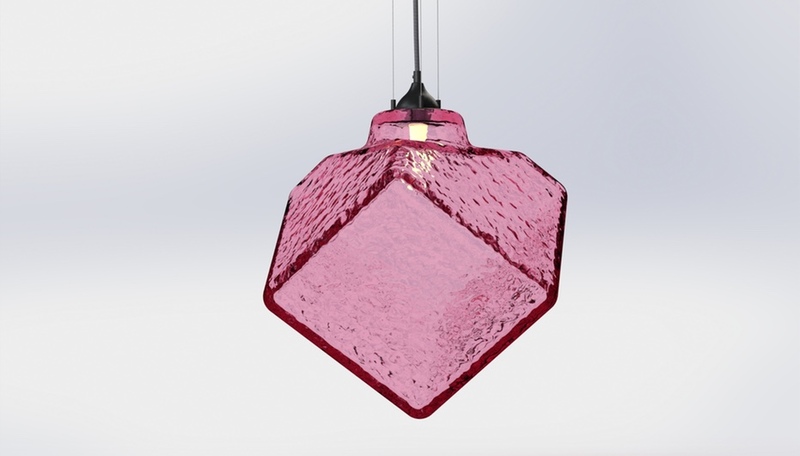 In true Canadian fashion, a key design detail was the inclusion of an ice melting system that would protect the efficacy of the LED modules. 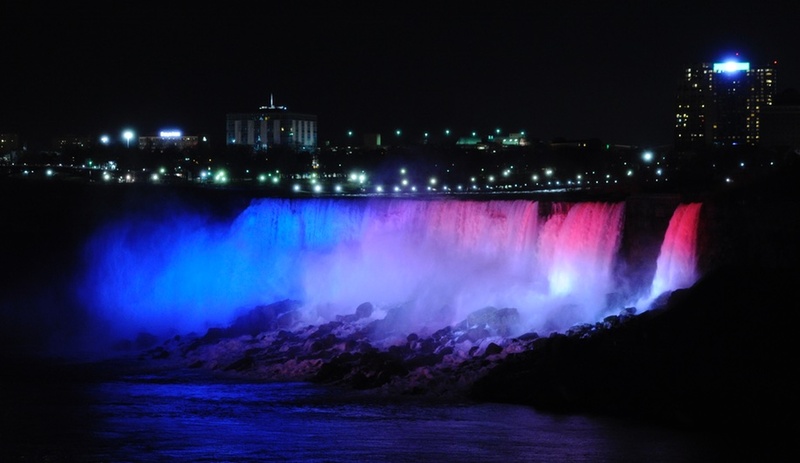 Networked into a DMX lighting control system designed by Scenework, the 1,400 blue, red, green and white LEDs can project a total of 18,000 colour combinations onto the Falls, at three to 14 times the brightness of the old light show. 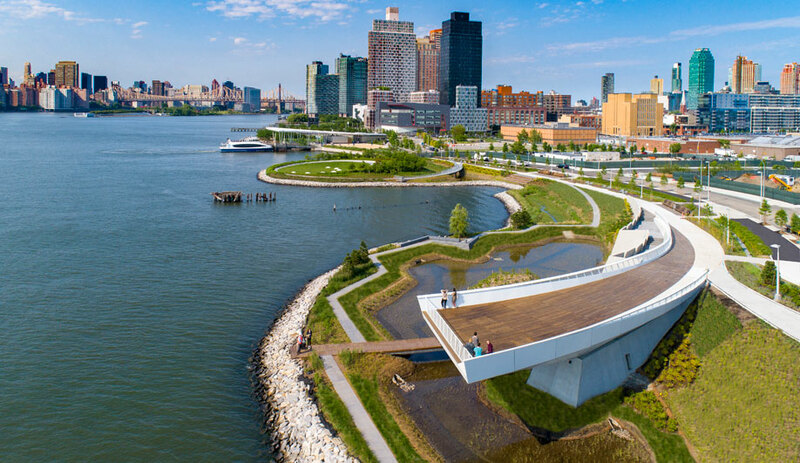 The complex lighting design needed to create these vibrant colours fell to electrical engineering consultants Mulvey & Banani, who sought to respect the natural beauty of the landmark while maximizing the technological opportunities. 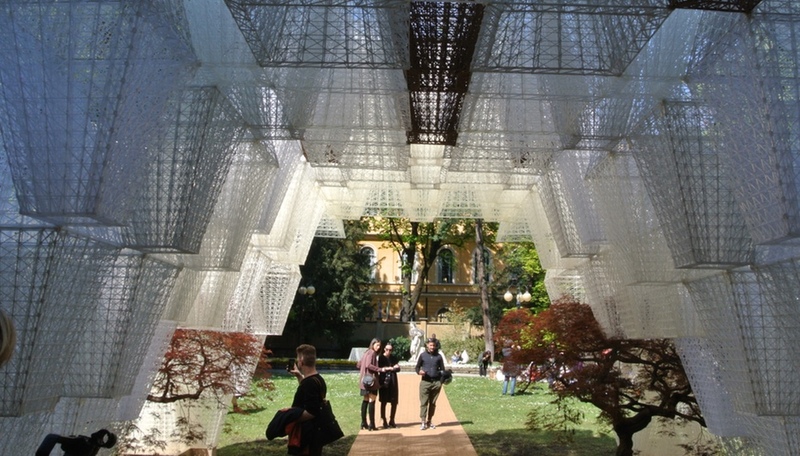 “Their award-winning lighting designers Paul Boken and Alan McIntosh enhanced the illumination concept with movement and colours found in nature,” Puopolo explains. Case in point: at one phase of the light show, a stunning ombre rainbow dances across the water, evoking visions of the Northern Lights. With a minimum lifespan of 25 years, the system will treat the 12 million annual tourists to a captivating six-hour show each night. “It’s a legacy for all five companies involved,” Puopolo says.